Bansko ski and snowboard hire, ski school and transfers are booking now at our biggest discount ever. Wait a good few seconds for this page to download, then click here or on the colourful writing above. This dedicated Bansko extras booking form leads the ski industry by being the quickest and easiest way to get the best latest pricing adjusted for foreign exchange rates. Then, should you decide to proceed, you can then check-out — pay in Pay in €EUR or £UK. FAQ’s. We need 24 hours notice for ski snowboard hire, lessons & transfers. Book at least three weeks ahead for February and New Year holiday periods. Free WiFi for transfers. Stay connected all the way to Bansko… and watch the live mountain cams too. Free large piste map lens cleaner (worth €5.00) for every person in your group. Fit your hire equipment on afternoon of arrival. Free hire equipment storage. Free boot drying. Recommended by hundreds of past clients. You Say. Low cost fully insured transport options for up to 40 persons. Location, skimania is just 50m from gondola. Only book, and pay for, what you need. Book online your ski package online by clicking here. Booking with Bansko Blog for hire and lessons saves you money, whilst helping ensure that I continue providing snow reports, restaurant reviews, the live web cam, the Bansko mobile apps and more — all for free. Private transfer prices - Book as part of your online ski package or in Bansko App. Book early to guarantee availability. Prices are for a private return transfer. FAQ’s. No waiting for others. Transport direct to your Bansko, Razlog or Dobrinishte hotel. Free child seats, specify on the online booking form. Allow two hours and forty five minutes for the transfer. Thessaloniki transfer available on request or book on Bansko App. Book today using the online booking form. NOTE: Prices are crossed out because lowest prices are found on the quote and booking tool; click here. Pay in £UK or €EUR. For ski & snowboard hire and lessons prices click on booking widget. Within 48 hours you receive payment request via PayPal. Print out your booking confirmation sent immediately after booking. Take to shop. Lift passes available for collection at shop. Transfer booking process below (pay driver direct). Most combinations of hire, private & group lessons, skis, snowboards, helmets, lift passes and transfers. Unable to complete the online form? Email: orders@banskoblog.com for help. Subscribe for the 71 page ebook “The Essential Guide to Bansko” (it’s free). Click here for the Bansko five star rated iphone, ipad and ipod touch app and Android mobile app for Bansko. Always ensure you have comprehensive winter insurance before you travel. Since 2008 BanskoBlog.com has been providing a service many have come to trust; before booking and in-resort. Every season we listen. and then improve what we do… from booking and info to the Bansko App and in the resort. 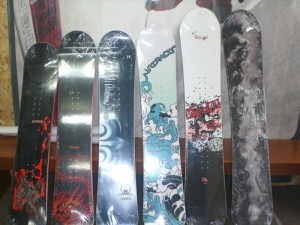 New stock of 250+ rental skis and snowboards, new Salomon and Flow snowboard bindings. All new ski and snowboard boots. 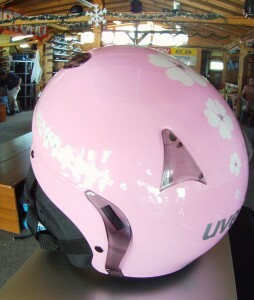 many new ladies, men’s and children’s helmets — all colours! Watch video for tips on ski and snowboard hire and instruction in Bansko. Click You Say for customer feedback. FAQ’s. Read them, but still not sure and need advice? Just ask in bottom right corner of the screen. Interactive prices and booking online BANSKOBLOG Ski Packages (Online bookings only). Ski hire is a significant part of a ski holiday’s expense — and one worth saving money on. But it is never worth sacrificing quality, or choice, for. Having been skiing since the age of 5, I’m familiar with the first day hassle; hire, lift pass, ski school and lessons. The packages here are designed to ensure you can relax and enjoy a smooth start to your Bansko holiday, whilst getting the best value deal available. Ski school group class sizes are generally under five persons, outside peak holiday periods. Please allow at least three days’ notice before arrival and six days if ordering lift passes. 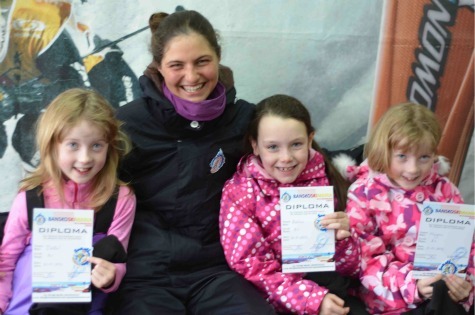 Vasi and her students and their ski Diplomas. Turning up in any ski resort and hiring your gear is fine… but you will pay more than you need. Prepay assists planning schedules. It saves money and this is passed on in the rates we offer, exclusive to Bansko Blog readers. We enjoy a fine reputation for quality service, small class sizes and reliability. Click You Say for comments on the ski package service. We focus on delivering the best value for money in Bansko. Top brand, and mainly new, equipment; always serviced. Small class sizes, enthusiastic and dedicated instructors as well as conveniently located shops right by the main gondola lift. Don’t risk the quality of your ski school and ski hire, book online today and arrive knowing you’ll be quickly and expertly fitted with quality equipment. Not sure what you need? We are here to answer your questions and to ensure that you have the right equipment and instruction for your needs; contact. You have my 100%, no quibble, money back refund. We undertake to complete your refund within 24 hours of notice. Transfer cancellation must be cancelled by email before arrival. If, for any reason whatsoever, you feel your lesson was not satisfactory, then explain to the shop manager the same day and you’ll receive another equivalent lesson, absolutely free. 1. Avoid hassle and be prepared for your first day — ski/board rental + lift pass pick up on arrival in Bansko the day before (if you can). Be ready for your first day on the slopes. Ski shop may open up to 10:00pm, by prior arrangement. 2. 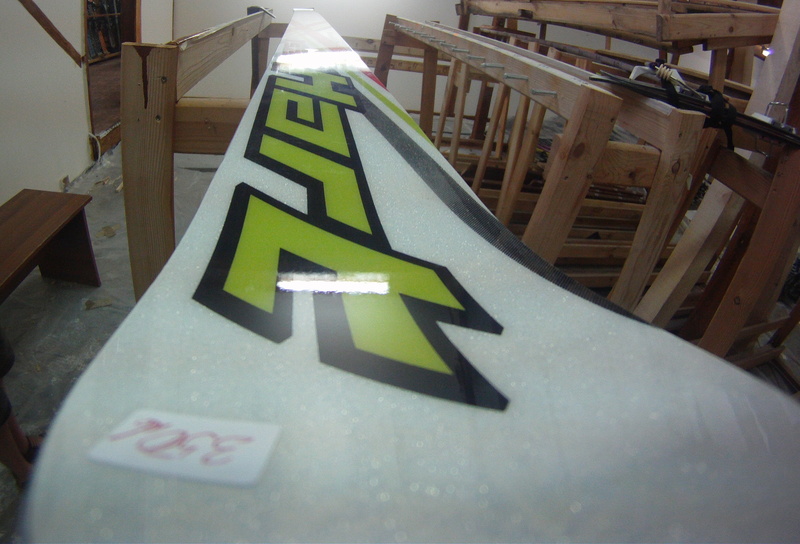 Flexibility to upgrade to demo (twin tip and all mountain) skis and snowboards. 3. Location & convenience — within 50m of the gondola. No more walking with ski gear. 4. Experienced and knowledgeable staff in the business for twelve years. 6. Snowboards and skis are serviced before you hire them, many are new. Maximum of two seasons old. 7. Peace of mind. English and Russian speaking instructors — properly qualified to teach you, and your children, in Bansko. 8. 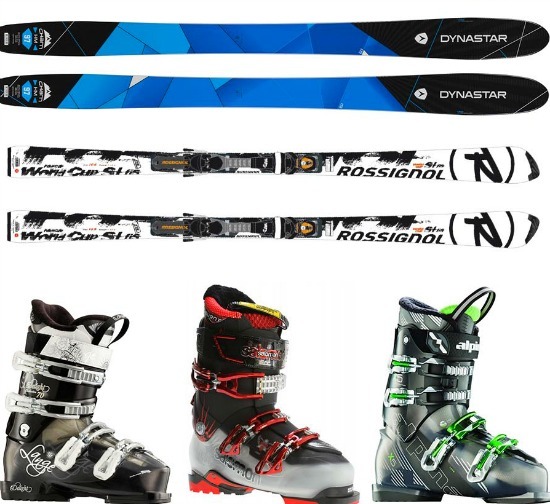 Rossignol and Head Super Shape Advanced Slalom and Giant Slalom Skis. Freeride & many Freestyle demo skis. 9. Free helmet hire for children. New adult helmets for hire. Save by prebooking these too. 10. Transfers from insured drivers, in properly serviced vehicles, with winter tyres. No waiting. 11. 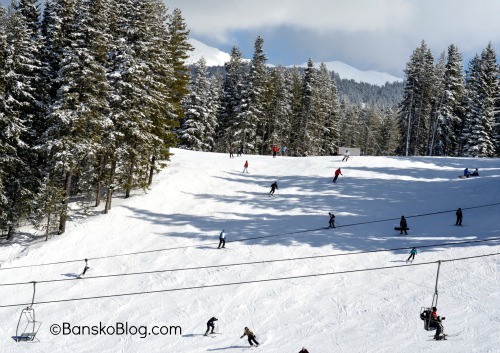 Exclusive offers for Bansko Blog ski package clients only. Pay by credit / debit card (via PayPal) or by telephone with your credit or debit card. Does pre paying for a 6 day lift pass always save money? Generally yes. There is a risk that adverse weather may prevent skiing on all six days, or indeed you take a day off. NOTE: All prepay lift passes include mountain insurance. Please arrange adequate winter sports cover at the the time of booking. It’s on the right just after the main gondola lift traffic lights looking up towards the mountain. You can’t miss it. It is highly advisable to buy insurance that covers lift closure and holiday cancellation. 6 day, 9 day and 13 day lift passes purchased here include mountain insurance. It’s easy to buy a lift pass at gondola station, they take a digital picture. Sometimes there is a queue for lift passes, so if you’re coming for 6 days (or more) then pre paying makes a lot of sense. If you are buying a one day lift pass for the following day, you can purchase from the gondola kiosk after 16:00. Your card may be recharged for the following day by going on to banskoski.com. Purchase your lift pass for the following day from MaxSport in the Strazhite hotel or MaxSport (on Cherni Vrah) in Sofia. Any questions? Please click on FAQ’s first. Still have a question then got to the contact form. FAQ’s Not sure what to book? Then contact me: lance @ banskoblog.com. Complete online booking form by clicking on the for ski and snowboard rental, ski and snowboard lessons, lift passes and transfers widget below. FAQ’s. NOTE: 6 day lift passes are not the responsibility of skimania but are picked up in the shop for convenience.